In preparation for production of its first autonomous vehicles, Ford is expanding its production capacity by expanding a plant in Michigan and increasing hiring. Ford plans to invest $900 million in its southeast Michigan footprint. This includes expanding the Flat Rock Assembly Plant through 2023 and completing Ford’s first autonomous vehicles (AV) at a new autonomous vehicle manufacturing center in southeast Michigan, according to the company. The expansion is part of Ford’s $11.1 billion investment in global electric vehicles. 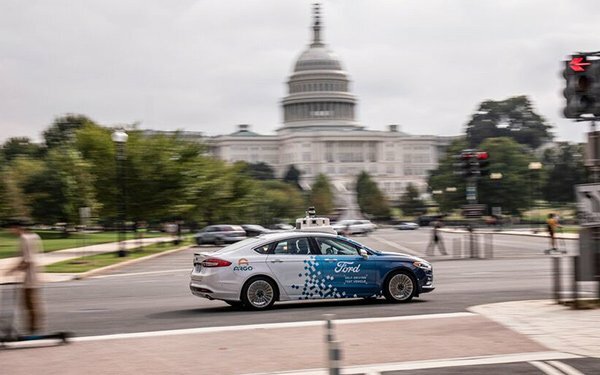 Ford plans to add 900 jobs through 2023 as part of the expansion with the first autonomous vehicles being produced starting in 2021. Those vehicles are targeted for deployment in commercial services to move people and goods. 3 comments about "Ford To Invest $900M, Start Autonomous Vehicle Production In 2021". R MARK REASBECK from www.USAonly.US , March 20, 2019 at 4:50 p.m. Hate to bring this up again. HOW MUCH DOES IT ADD TO THE PRICE OF THE CAR????? So with a $11,000,000,000 investment, how many cars, that 76% of the public doesn't trust, do they need to sell to re-coup their investment. Let's say they sell for $70,000 each, and there is $20,00 profit per car. That means they have tp sell 550,000 cars to break even. Ain't gonna happen folks, .Numbers don't tell fibs. R MARK REASBECK from www.USAonly.US replied, March 20, 2019 at 4:51 p.m.
That should have been $20,000 profit per car. Chuck Martin from Chuck Martin, March 20, 2019 at 5:02 p.m.